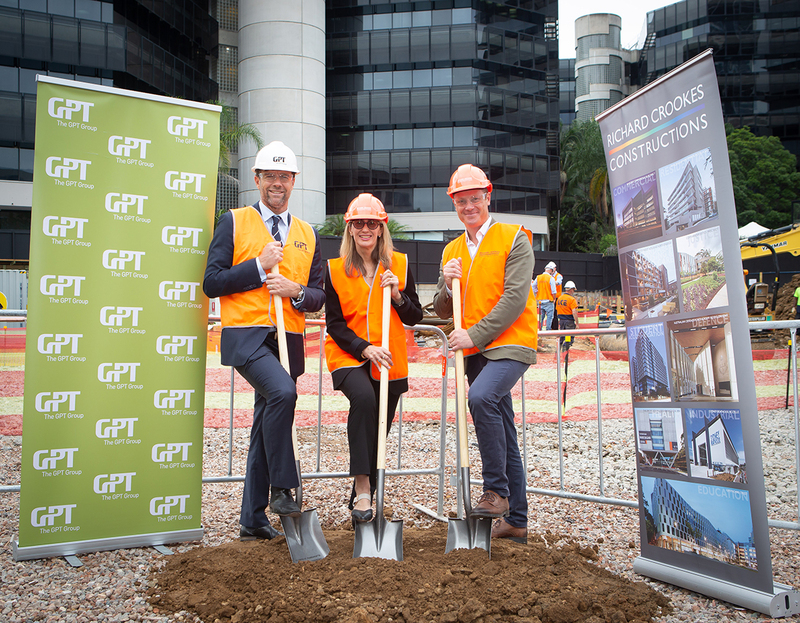 Construction has commenced on GPT Group's $300 million office development at 32 Smith Street in Parramatta with representatives from the development team and anchor tenant QBE on hand to mark the occasion at a ground breaking ceremony last Friday. 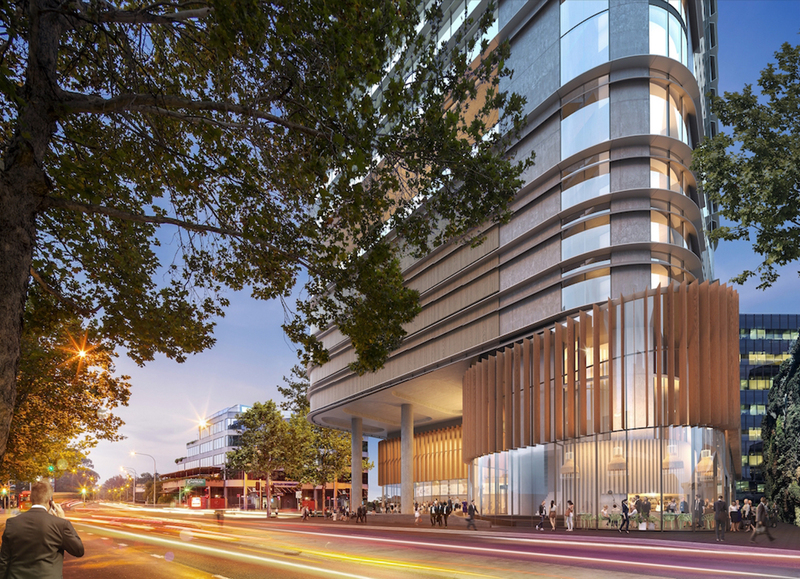 The 29-storey tower has been designed by Fender Katsalidis Architects (FKA) and joins the growing chorus of projects reinvigorating Parramatta and reinforcing its credentials as a design-led city. Located on a 2,439 sqm gateway site on the corner of Smith and Phillip streets, 32 Smith Street, is just a stone's throw away from the $1.2 billion Riverbank cultural and entertainment precinct, and the $2 billion Parramatta Square. 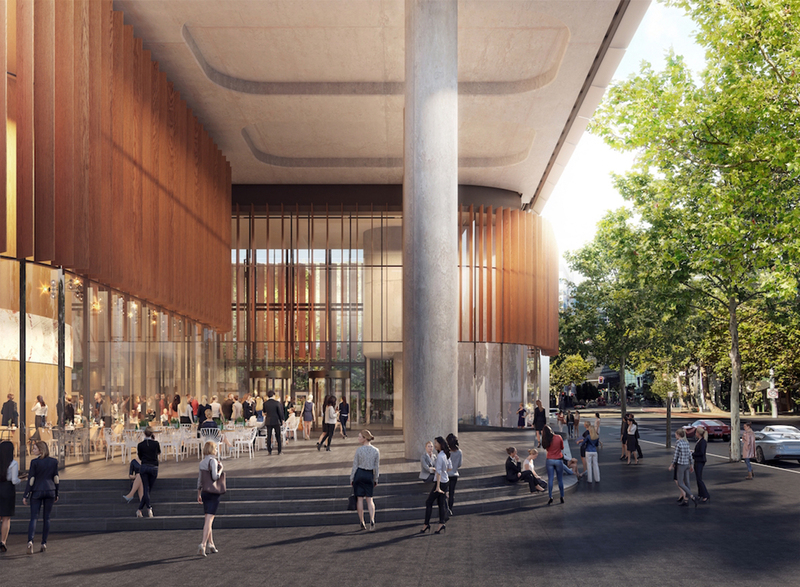 Parramatta Square represents NSW's largest urban renewal project and will upon completion, provide new chambers for Parramatta City Council, a public library and a vertical campus for Western Sydney University. These projects,together with pother major commercial and residential projects, including the restoration of the historic, 700-seat Roxy Theatre are leading the charge for Parramatta as it sets its sights on becoming Sydney’s second CBD. On the design front, FKA have conceived a tower which it says gracefully opens up the site’s ground level to the public with a set-back podium and two softly rounded, pebble-like forms that encourage pedestrian usage. According to FKA, the tower is simple in form and has been shaped as a building in the round, with its curved pebble form reducing glare and wind to create a "friendly sculptural tower." The Fender Katsalidis design was selected from a competitive jury process led by the Parramatta City Council with its sense of civic contribution amongst the design's strong points. The tower is imagined as a glazed form which rises above this civic ground level, creating what will become the most translucent building on the Parramatta skyline. 32 Smith Street has also been designed with an eye on the future. Its car parking is raised 12m above ground, to a full-height storey, allowing for future conversion to commercial programme. Located above the car parking is an “oasis level” featuring an outdoor terrace that provides views to the Parramatta River, as well as a datum which responds to the existing scale of the street wall, highlighting the base of the tower. At its summit, the building is crowned by a tree-lined open-air terrace, allowing tenants elevated views of Parramatta River and the emerging Parramatta skyline beyond. Insurer QBE will move into the building as its major tenant, when it is completed in late-2020. “Parramatta is currently undergoing a marvellous urban renewal and it’s notable for the quality of design on a number of significant cultural and commercial projects. We are extremely proud of this project and believe it makes a significant contribution to the design-led renewal of Parramatta. Both the City of Parramatta and the NSW Government are driving this with a strong vision for the city to become a world-class business, arts and education centre with excellent design underpinning the emerging precinct. We recognised the way pedestrians currently move around the site, which is on Parramatta’s primary north–south axis, and wanted to both open up the corner and provide a strong visual connection to the river. The pedestrian flow-lines began to shape the podium into soft, pebble-like forms. These open up the river vista and create an impressive north-facing urban ‘room’, an open-air gathering space given shelter and shade by the building’s main tower form.